That’s a jade roller. We go together like owls and tanning salons. It ain’t a natural fit. But boy do they work. And they’re 100% pain free. Let me explain. I feel dirty, valuing “looks” especially when it has very little to do with how I value myself and others. That’s why my books are not airbrushed – I flipping love character creases and laughter lines. They’re real. They’re Mother Nature’s way of telling 20year upstarts not to f&%k with us. So it’s not likely I’ll set aside time to jade roll my mug every morning. However, I also value the health of my body, my skin (aka our body’s largest excretory organ) and my mind. So … for me, then, it makes sense to submit to a relaxing Chinese face massage from time to time, when I am in a deep stress zone (queeeeeen, I hear you shout). It’s called Gua Sha and involves minor torture tools plus a dinky jade roller. The deadly Amanda at Dublin’s Holistic Centre does them. I fall asleep during the face massage, blissed off my face. In theory, jade rollers should be one of the easiest and least expensive DIY skincare tools available to men and women. Jade rolling can help to lift that leathery-winter-skin vibe that scorches into our skin this time of year. 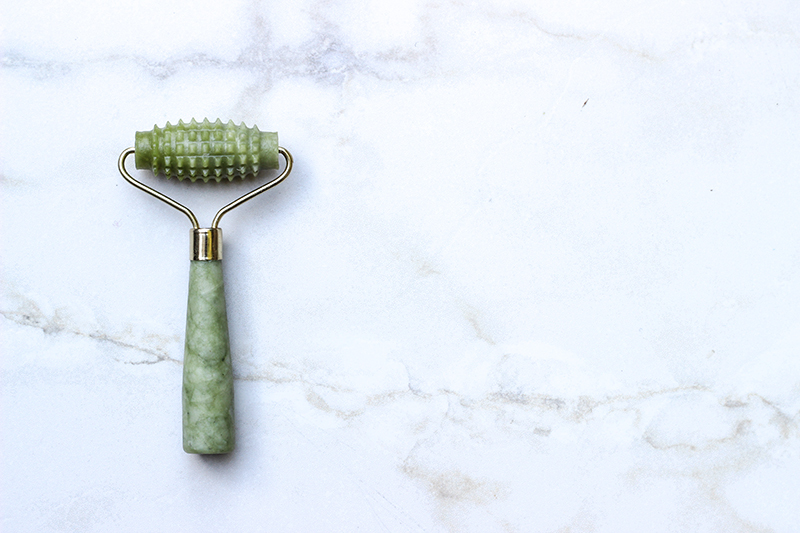 Gentle application of a jade roller stimulates our intricate lymphatic system from the neck up, and helps to shoo our system of toxins and puffiness. It’s a very simple concept, with very effective results. Right under our skin lives a complex highway of vessels and tissue that work to eliminate toxins. Score! Help them, help us (click on the video below). If all this seems too heavy, here are the balms and salves I urge you to support. #notsponsored. 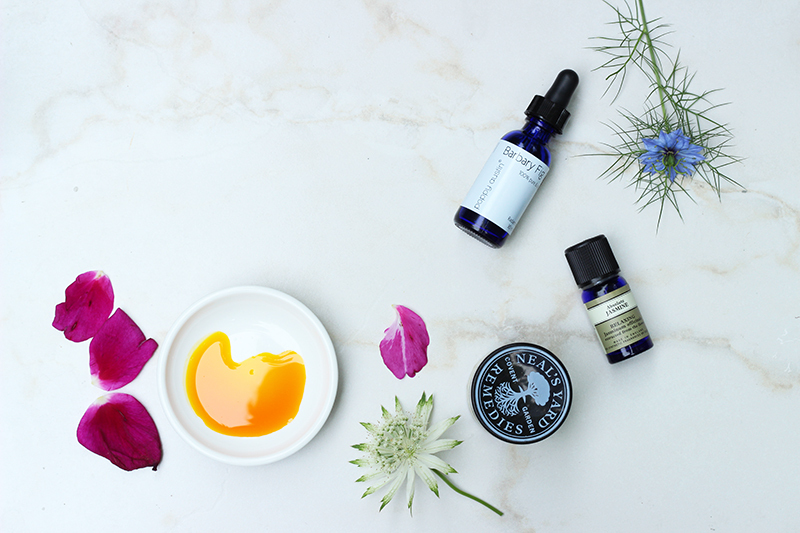 All are hand crafted in small batches, using only raw unadulterated ingredients and a deep respect for nature. Each one supports your winter skin, while also supporting dedicated craftsmen in the beauty industry – an industry dominated by chemical junk, lies, and toxic messages about what “beauty” means. We have an opportunity to try and change the tide on these corporate beauty giants. Stop giving them our money. And start channeling our support into mindful skinfood wizards, like these ones, who celebrate the aging process with open arms. Don’t get me wrong – I still have a lot of crap floating in my cupboards. Stuff I’m not proud of. I find it easier to start gently – when one thing runs out, I try to mindfully replace it. This love and thought can be different for everyone – you have a rhythm of your own, and it’s best to listen to it. Don’t let skinny fascists on Instagram tell you what to buy! What do YOU want? Where do YOU want your money to go? That’s no one else’s business but yours. My BF for example doesn’t care what she puts on her face, so long as it’s not in a plastic tub. She spends her weekends litter picking in London, and campaigning against plastic-overuse in supermarkets. She’s incredible, and her radiance shines from her face and touches everyone around her. Another pal only uses Irish products in her home. Another, makes all her own products from face masks to cleaning products. Dry skin patches, toodleloo. This is serious skinfood. My five year old puts this on his lips every day too. My husband bought me a range of Dublin Herbalist products for Christmas. My favourite? A tube of All-Healing Salve comes in at under a tenner, and as the name suggests, is as local as I can possibly get. Love it. Serum is not enough for my demanding skin during the winter months. My face is almost comically thirsty. The trick is not to go for a water-based moisturiser. 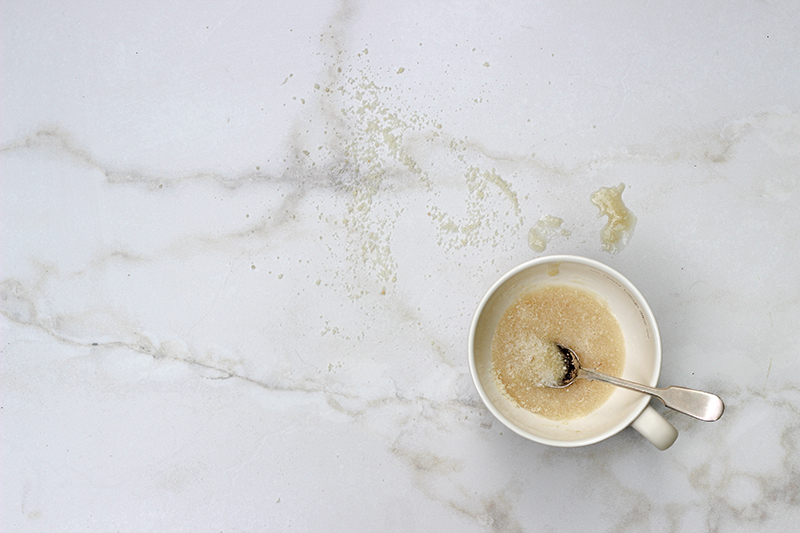 Look for a salve with a small amount of beeswax or shea to lock in moisture. Always works for me. 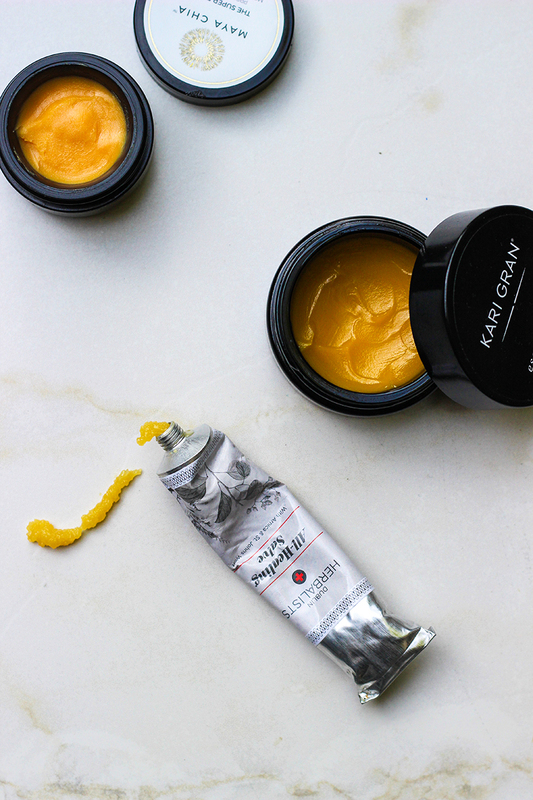 This Essential Balm from Kari Gran is exceptional, comes in a large pot, and lasts 5-6 months. I use it on my lips too. This isn’t skin food, it’s a skin smoothie. Find it here. What chicken stock does for the soul, Maya Chia does for the face. Here’s a pressed serum that went into waiting list mode this January! I can understand why. Warm, affectionate and earthy, like a little pot of hugs. It’s deeply nourishing and winsome. The alchemist behind Maya Chia, Susanne, started off her career as a political speechwriter having graduated from Harvard University. She is the snazzlejazzle. On sale here from Beauty Heroes. 50ml goes a very long way – I was sent a sample sidekick, and am still working my way through it. Any of Conscious Skincare’s mature range will do the trick for wintry months. They are called moisturisers, but that’s an understatement! They behave like a supersonic balm in my opinion (check out the buttery consistency below). 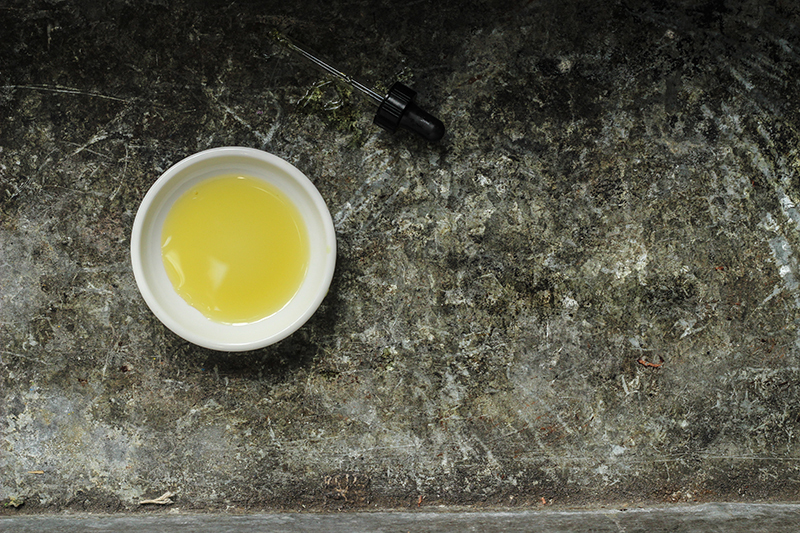 Organic shea successfully locks in moisture and gives your skin a goddamn gorgeous glow. It’s the vegan version of beeswax. Take a look at their glorious building blocks – all beautiful, vegan, organic, cold pressed plant ingredients. I received a number of samples to play with during 2017. Every pot was licked clean. I’m certain you’ll love them. This is a Skin Food series. I care about our skin and how we are feeding it. I will only review small scale producers whose products I love and admire; whose work ethics amaze and astonish; and whose genius deserves a wider platform. Small scale producers cannot afford a PR unit or fancy advertising. They rely on word of mouth. I do not receive payment, commission or contra for the products that I review on my website. That ain’t my Feels. If I receive samples to trial, I’ll always tell you (see above). As a Beauty Heroes ambassador, I receive their monthly discovery box in advance of its release, to trial-run the product as a member of their beauty council. There is no obligation to write about Beauty Heroes, in any form whatsoever, but I choose to do so from a place of love, admiration, deep respect, and incorrigible excitement. NONE of the links from my website result in commission. I love this- agree with to re not over valuing looks but also like to feel and look good! I love burren perfumery and kinvara products. Where did you get the jade roller from? Mine was a gorgeous gift from a fabulous friend. I’ve seen good ones on Amazon however. They’re not mainstream in Ireland yet, so I’m afraid it’s online grooving for now!